What does it take to pray for healing for someone else? My congregation and I have been going through a verse by verse study of the book of Mark. 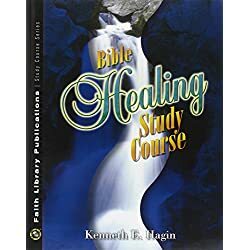 As we have found out, you cannot do a serious study of this book without looking at the issue of divine healing. In almost every chapter of the book, you see Jesus praying for the sick and the sick being healed. So I shared with them how to pray for the sick and see them recover. Over the course of my 37 years as a believer in Jesus, I have prayed a simple prayer for healing for hundreds if not thousands of people and see them receive divine healing. So I used this passage to talk about how to pray for healing for someone else since it is such an unusual prayer for healing the sick. In this passage we see Jesus leaving the place where He went to get some rest. He was leaving, and they brought him a deaf and mute person. We will see from this passage that there is no “Formula” for effective prayer for the sick. There are only ingredients. The difference is like this. With a formula, you say and do the same things regardless of circumstances or the person you are praying for. With ingredients, it is like you are baking a cake. Most cakes have certain elements in them that are common to all, but not all cakes have the same ingredients. The same is true if you want to learn how to pray for the healing of others. You will find some common ingredients, but each time you pray for someone it will be different, and there will be new ingredients that are thrown into the healing mix. I am going to try to show you just a few of the ingredients and give you some principles so when you come across a sick person, you can follow the Lord and pray for people just as He did. The first ingredient that we see in this passage is that somebody had an expectation. They brought this man to Jesus. It does not say who “they” were so it could have been the disciples, or it could have been someone in the crowd, but they expected that Jesus could do something. When learning how to pray healing prayer for the sick you need to look for expectation. Does the sick person or persons associated with them expect God actually to do something? You see expectation is a normal part of a relationship. When you go to your mechanic, you expect him to be able to fix your car. When you go to your grocer, you expect him to have the food you need to feed your family. Expecting God to do something is just the same way. Ephesians 3:20 says that God can do exceedingly abundantly above all that we ask or think. Try to remember this when you are praying for the sick. He is more than able. The second ingredient we see is that every healing is personal. Notice that Jesus took the man aside and away from the crowd. He ministered to him personally. This is why a formula doesn’t work. Formula’s do not take into consideration the needs of the individual. So when you are learning how to pray for the sick, make sure you center in on individual needs. It is not about a show or receiving some recognition yourself. It is about bringing that individual in contact with the one who has the supply they desperately need. Many times you will notice them crying or being moved emotionally, or at other times you will see the effects of the Spirit of God on their physical body. They will be trembling or swaying and having a hard time standing. Whatever it is, and it varies as much as any relationship does, pay attention to what the Father is doing through the Holy Spirit first. Jesus took the man aside so he could concentrate on what the Father was doing. Do not be surprised if you are asked to do something that stretches you spiritually. Notice here that Jesus ends up doing something strange. He sticks His fingers in the man’s ears and then spits and puts his fingers in the man’s mouth. Now I have not seen too many faith preachers, and healing evangelists taking on this formula for healing have you? Sometimes you will be asked to do something that stretches your obedience level. When we are obedient to the voice of our Heavenly Father, power is released. Jesus obviously was obedient to what God was telling him to do. Now having said that, I am not advocating that everyone go around trying to find some way to be weird for the Lord. I am just saying do not be surprised if you are taken out of your comfort zone. 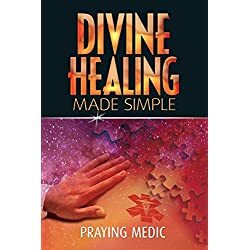 There are many different methods that the Bible talks about when it comes to divine healing. I believe that this is because there is no unique formula or method but many ways with many ingredients. Here is a list of just a few of those methods for you to look at so you can see it is not nearly about what method is used but instead about how powerful of a God we serve. Those are just a few ways that people were healed by God’s divine power. There are many more I could list. So you see there is no “right” way but people who looked to God to be healed. So when you are learning how to pray for sick people, remember, if you feel led to anoint someone with oil, don’t worry that you don’t have Jewish olive oil straight from the Holy Land. It is OK to use kitchen oil, or canola oil, or as I did on more than one occasion, motor oil. It is not the oil; it is the power of God that heals. Finally, remember the role of humility in praying for people. Notice that Jesus did not make this some show about Him. He wanted people to keep quiet about the whole thing. It was never the intent of Jesus to bring glory to himself. So when you step out and start praying for the sick and see somebody recover, remember it is not time for you to put on a white tux and a bad toupee’ and start going out with a healing ministry. It will take you some time to learn how to pray for the healing of others. 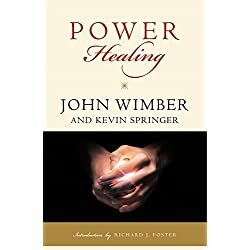 John Wimber, who was known for a great healing ministry said many times that when they first started praying for the sick, it took a year before they saw their first-person recover. Do not get discouraged. Keep seeking the Lord, and He will show you how to pray for the sick and see them recover. When you do, give all the glory to God and make sure that He is the one that is given credit. It is not about us; it is all about Him.